In 2016, 38.6 per cent of people diagnosed with lung cancer in the Calderdale Clinical Commissioning Group area lived another year, Office of National Statistics data shows. That's below the 41.6 per cent survival rate across England. The rate in Calderdale is a significant improvement compared to 2001, when just 24.4 per cent of patients lived beyond one year. Dr Penny Woods, chairwoman of the BLF's Taskforce for Lung Health, said: "Where you live shouldn't determine your chance of surviving lung cancer. "It's encouraging that the NHS is focusing on early diagnosis, and we support the recent announcement to roll out lung cancer scanning at supermarket car parks. "This is a good start, but we must see this rolled out across the UK, to give everyone the best chance of survival." Lung cancer is the UK's deadliest cancer, with low survival rates compared to other forms of the disease. In Calderdale, the one-year survival rate for bowel cancer is 77.3 per cent, and 96.1 per cent for breast cancer. Cancer specialist Jon Shelton said: "Around seven in 10 people with lung cancer are diagnosed with late stage disease, when the tumour can't be completely removed by surgery. "Unfortunately, symptoms of lung cancer may also be masked by other lung conditions. "Finding ways to diagnose lung cancer earlier would play a major role in improving survival, by providing the best treatment options to patients." 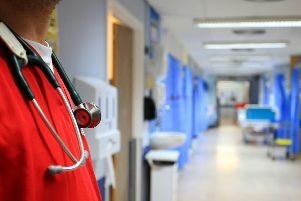 NHS England said that it was committed to improving survival in the areas with the lowest rates, adding that cancer survival is "now at an all-time high". A spokesperson said: "The Long Term Plan for the NHS will keep this momentum going, with investment in better and more accessible diagnosis checks to catch cancer sooner and save lives."